thiersThe firm was founded in 2002 by Mr Philippe FROMENT. The CAPDECO company open its doors in Thiers which is the French capital of the cutlery industry and where knives are made for more than 6 centuries. Heiress of a know-how for generations, the Froment family started its business in 1963 in a small workshop created by Philippe's father: Camille Froment. 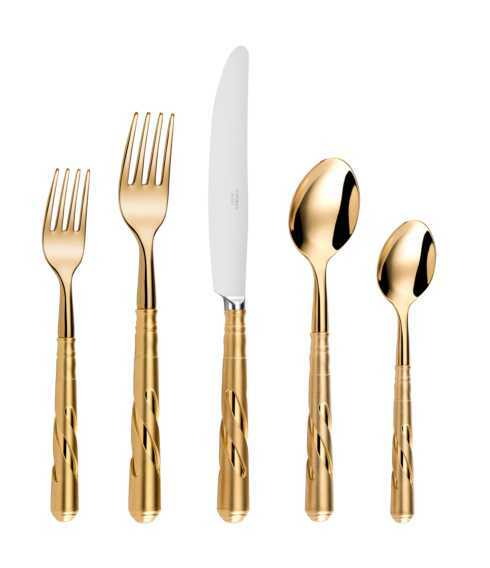 Originally, the company's business was only focused on the subcontracting in cutlery industry. The company's business developed then quickly. Willing to produce and to market a quality finished product and demonstrating his know-how of cutler, Philippe decided to create the Capdeco manufacturer company of flatware. Today, it is with Edouard Froment, representing the 3rd generation of cutler, that the Capdeco companis carrying on the cutler tradition with a touch of modernity. Using the know-how passed on from one generation to the next, Edouard and Philippe as well as their collaborators propose you a wide range of flatware of an irreproachable quality and totally made in Thiers.